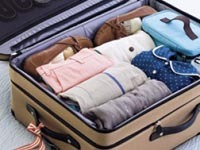 As Bali enjoys warm to hot weather all year round it is best to pack light for your trip. Clothes are very cheap in Bali and are available just about everywhere you go so it is always a good time to stock up for the summer months back home while you are here. Ask our front office team about the great places to shop here in Bali, bartering and bargaining is expected in Bali so have fun. It is always a good idea to re-confirm your flight details with the carrier you will be flying with. Many carriers can over book their flights so it is always good to check before you fly. Also make sure you have sent your flight details to our front office staff so we may arrange your airport transfers for you. Our drivers will be awaiting your arrival at the International Exit Gate. Even though it may seem like there are no road rules in Bali they do exist, they are just loosely enforced. Traffic seems to go in every direction and it can be quite unnerving when you are not used to it. If you decide to ride or drive in Bali, the best way to handle this is to just go with the flow, ride or drive safely and be careful. If you do not want to chance it then Transport is always available . 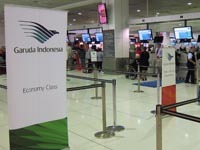 Your Visa can be obtained at the Airport on your arrival in Bali without application and many countries including AUSTRALIA are now on the free Visa entry list. The cost for a 30 day visa is USD$ 35.00. It is possible to extend your 30 day visa and there are costs involved, please use a reputable agent to extend any Visa. 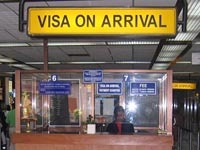 The maximum time you can stay on the Island is 60 days with a Visa on Arrival type visa. 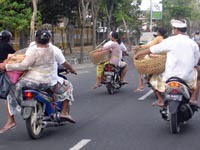 When travelling in Bali, Taxi's are the main form of transport if you are not hiring a motorbike or scooter. 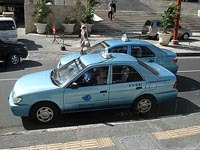 The Blue Bird Taxi is the most reputable service in Bali. They have metered cars and the drivers are very knowledgeable and just about all speak English. The best thing to carry everything around in is a back pack. You can either bring one with you on the flight or pick one up while you are here. The main form of transportation in Bali is by scooter. You can hire a scooter everywhere you go in Bali quite cheaply and it is a great way to get around and see the sights. If you plan to hire a scooter whilst you are here, please make sure you have a valid international drivers licence. If you are stopped by the Police here it will avoid any inconvenience. Also make sure you wear a helmet! Everyone has heard of the dreaded "Bali Belly". The best way to avoid a case of this is to make sure you only use bottled water. Sienna Villas supplies bottled water in all of our en-suites for brushing your teeth and purified drinking water is available from our dispensers in the villas. If you do happen to get an upset tummy, just ask our front office staff for recommendations on the best medicines for your relief. Bali is in the tropics and therefore has a lot of flying insects and mosquitoes. Make sure you pack some repellent so that you can avoid getting bitten. We include insect repellent lotion and mosquito coils for you in the villas and our housekeeping team spray the bedrooms every night. 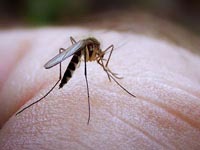 All of our bedrooms are air conditioned so the mosquitoes are very minimal as they do not like cold moving air. 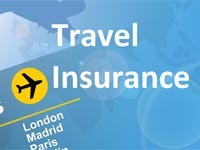 Whenever you travel the world it is important to have up to date travel insurance. It is advisable to purchase travel insurance with your tickets from your travel agent or you can find many travel insurers online and pay just for the cover you need. Hospitals in Bali recognise travel insurance so if you have a need for medical care or you lose your phone it will be covered for a claim. 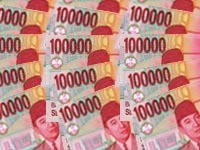 There are money exchangers everywhere in Bali. We recommend that you only change your money with a reputable non commission money changer. 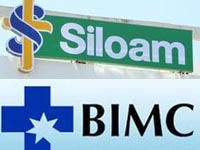 The BMC Money Exchangers are a very reputable company and have offices all over Bali with one very close to our villas. Their rates are consistent, always better than a bank and always beware of the small side street exchangers. Bali has a consistent electricity supply. The voltage is 220V and all of the power outlets are 2 pinned with an external earth. 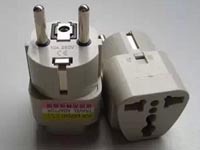 If you are bringing a lot of devices with you like laptops, tablets and mobile phones, it is advisable to also pick up some power converter adaptors, these can be found at any super market here. If you need one or two, we keep a supply of them at our reception, just pop up and ask for one. 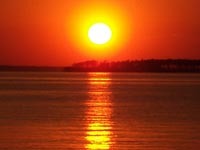 The sun here is hot and you will get sunburnt if you are not careful. Sunscreen in Bali is expensive and it is usually best to bring some from home with you. Make sure you remember to protect yourself from the sun with sunscreen, sunglasses and a hat. Sunglasses are available everywhere here and are very cheap as well. Normal Bali temperatures are between 24 degrees in the evening to 32 degrees during the day.